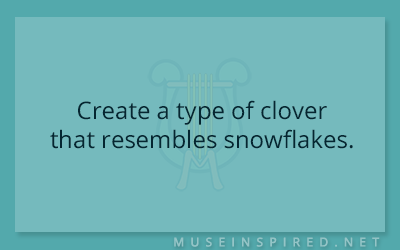 Fabricating Flora – Create a type of clover that resembles snowflakes. Fabricating Flora - Create a flower with tiny delicate petals. Fabricating Flora - Create a fern of an unusual color.